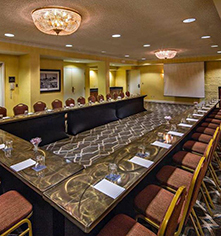 Conveniently situated in downtown St. Louis, Hilton St. Louis Downtown at the Arch is a great choice for meetings and events. Boasting an intimate setting, the hotel provides historic charm with modern features, ensuring productive and successful occasions and celebrations, grand or intimate. 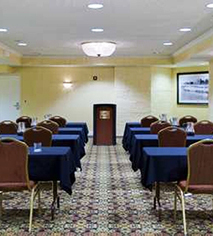 Guests can enjoy excellent meeting facilities, technology, and services, along with easy access to the city's finest dining, nightlife, and tourist attractions. 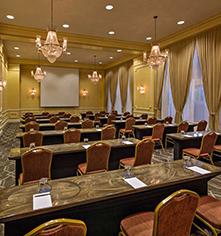 Hilton St. Louis Downtown at the Arch meeting and event spaces include the historic Laclede Ballroom, where guests can experience city views and natural light, making it a perfect space for receptions, board meetings, corporate retreats, or breakout sessions. Large room measuring 1,330 sq. ft.